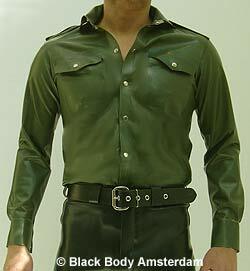 Uniform style shirt with long sleeves in army green rubber. Double layered collar. 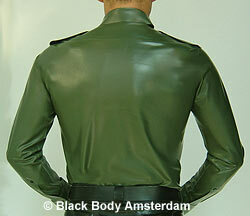 Shoulder epaulets and 2 chest pockets. Small press stud closing.